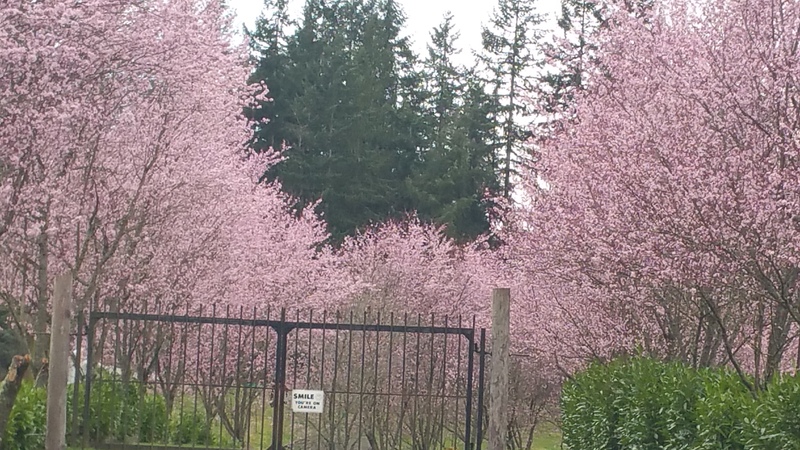 It’s that one time of year when cherry blossoms are everywhere. They seem to appear overnight, and are gone just as quick. 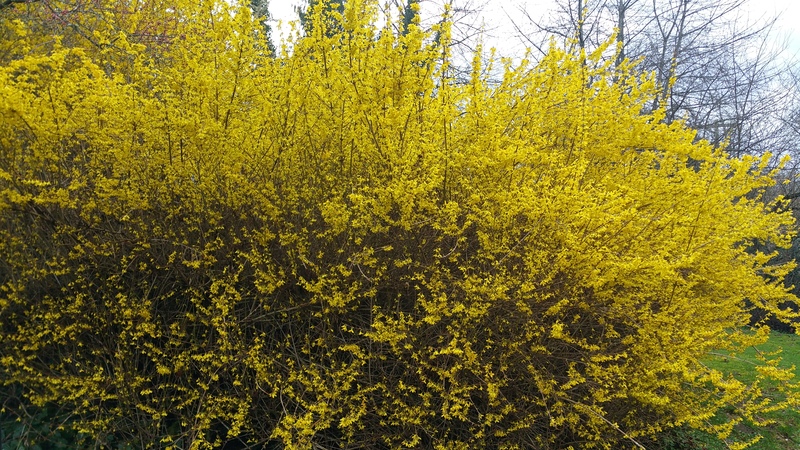 After a long, cold, wet winter, they are indeed a welcome sight. 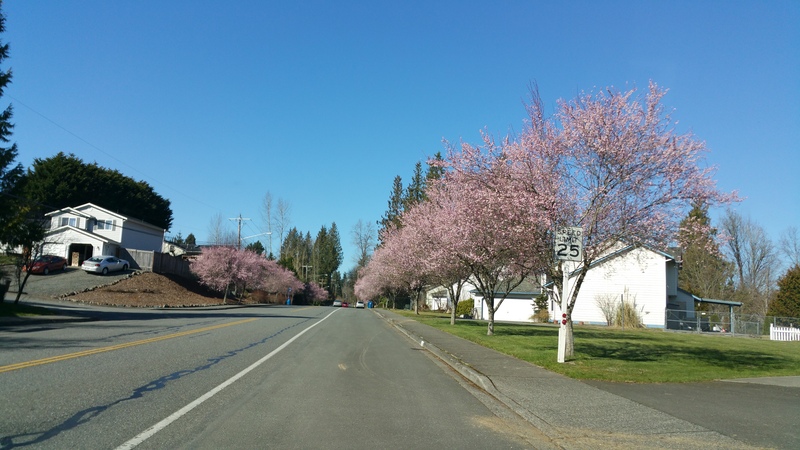 This entry was posted in Life in general, Photos and tagged blogging, cherry blossoms, Echoes of my Neighborhood, echoes of my neighbourhood, Pacific Northwest, photography, spring on March 3, 2016 by Paula. I can’t wait to see some flowers here. I’ll be awhile. Those are beautiful! Hooray for Spring coming as soon as possible! Love these beautiful signals of Spring! yeah! How beautiful! 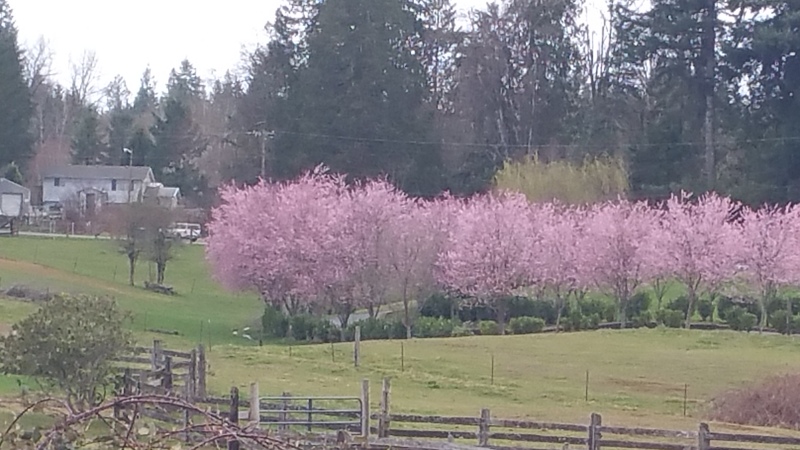 We are just starting to get the yellow flowers and cherry blossoms too! I just love all the spring flowers! Our trees are starting to blossom too- it really makes me look forward to Spring (although I’ve recently developed allergies too- thankfully not too bad). 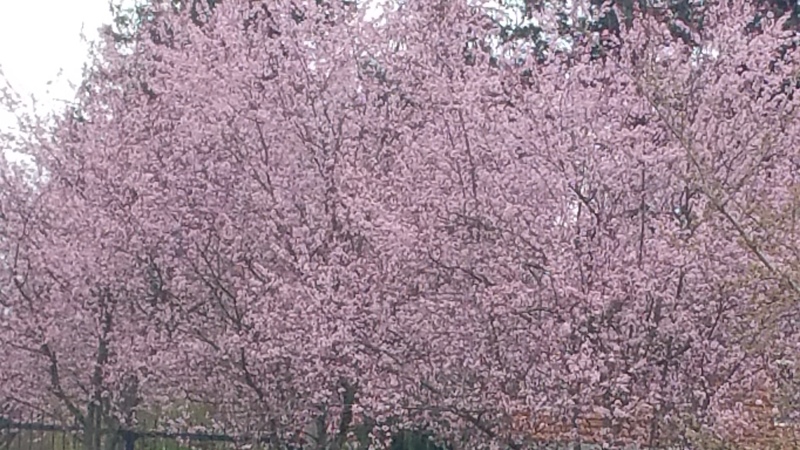 The cherry blossoms are beautiful! Gorgeous photos! That’s how I felt!! 80 is perfect!! So pretty 🙂 Spring is in the air ! I can’t wait for cherry season! They are probably my favorite fruit. Well, cherries, and bananas, and apples, and melons . . . you are so lucky to get the most amazing cherries out there at a reasonable price! I was just talking with my husband about that, and he was saying he should get his sister to ship us some, except then they would be just as expensive, probably! Never picked cherries. Not a lot of cherry trees in NY. Apples, that’s a different story. I do have fond memories of apple picking. Now the bees scare me . . .
Yeah, not too keen on those either! I thought it was early too, but our temps have been in the 50s, so things are all out of whack. Tulips aren’t supposed to come up until April, but my bulbs have started to peek through the ground, so I don’t know what the heck is going on, hehe! Thanks Jane! I love cherry blossoms! Very important in Japanese culture. They are rare down here in San Diego. Will have to visit Seattle area in Spring sometime! Beautiful! Some of the racers told me yesterday that a park we were running through in Newark, NJ has more cherry blossoms than the infamous ones in DC. There’s even a 10k planned for when they bloom. On this coast that will in April. Oh how lovely!! That would be something to run through!! Of course that would slow me down even more as I’d want to take so many pictures, haha! Will you be doing the 10K? I’m not sure if I’ll do the run–I’ve been looking at some other races but this would surely be beautiful! I think it’s funny how the east and west coast blossum about a month apart!